It’s Monday, that means it’s time for another Children’s Style Guide. This week we are featuring a winter look for your son. This look was put together by owner and designer of Taylor Joelle Designs, Jenny. We know that you’ll be inspired! 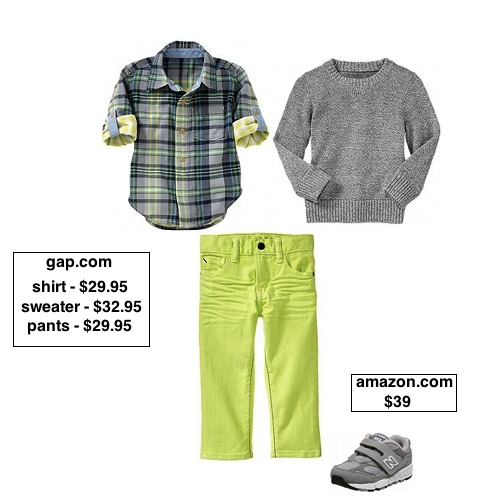 Start the look with these neon jeans from gap.com. Next add this plaid shirt and coordinate it with this sweater, both are also from gap.com. Finish the look with these New Balance shoes from amazon.com.